Dr. James Stevenson Optometrist in Bowmanville has more than 3 decades of experience matching patients of all ages with the perfect contact lenses to strengthen and improve their vision. Many refractive errors, such as nearsightedness, farsightedness, astigmatism and presbyopia, can be corrected with contact lenses. Schedule an appointment today to learn more about how contact lenses can change how you see the world! 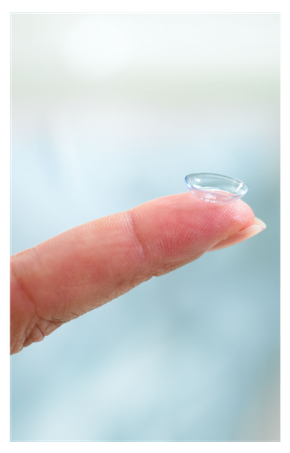 Contact lenses rarely cause trouble for people who wear them every day. Many patients find contact lenses to be a flexible, convenient alternative to traditional eyewear. Today there’s a wide range of contact lens options, which makes wearing them even easier. There are a number of choices when it comes to contact lenses, so that’s why it’s important to discuss your options with our optometrist in Bowmanville. An eye care professional will consider your overall vision problems, the health of your eyes, your specific visual needs and lifestyle. Dr. James Stevenson, an experienced optometrist in Bowmanville, and his staff encourage you to follow the tips below to keep your eyes and your contact lenses as safe and healthy as possible.